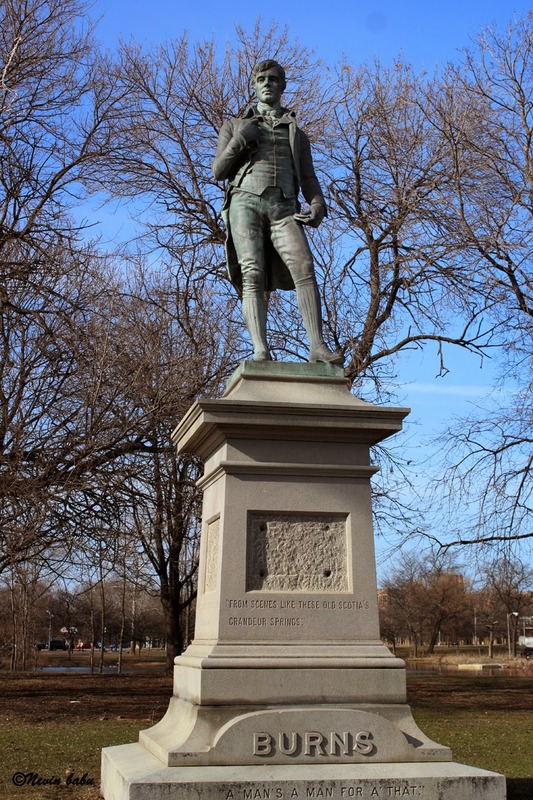 Robert Burns Memorial is located in Garfield Park, Chicago. The monument honors Scotland’s most revered poet who is best known as the author of the lyrics to “Auld Lang Syne.” Robert Burns (1759-1796) was born near Ayr, Scotland. While working as a laborer and farmer, he began writing poems and song lyrics that brought him international acclaim.